Here's a little-known version of a well-known song by Tom Petty. He's playing live in Hollywood in 1977. TOM PETTY: (Singing) It's all right if you love me. It's all right if you don't. INSKEEP: It's a posthumous release of a singer who died of a drug overdose one year ago next week. T. PETTY: (Singing) It's all right. It's all right. 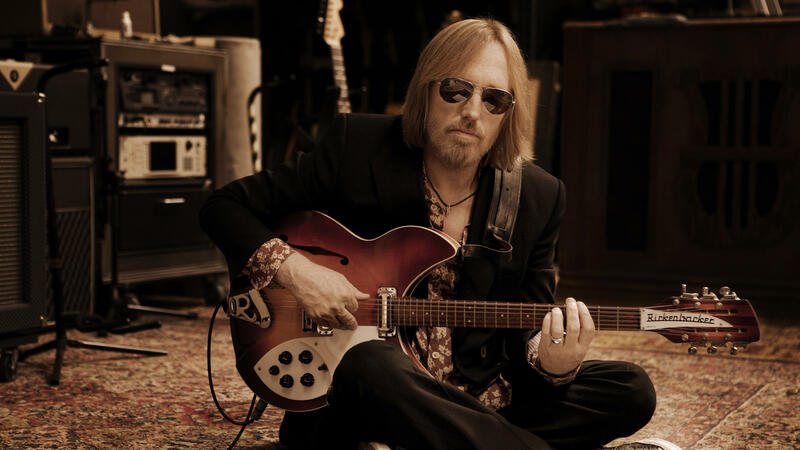 INSKEEP: As the anniversary of Tom Petty's death arrives, people close to him are releasing more of his music. 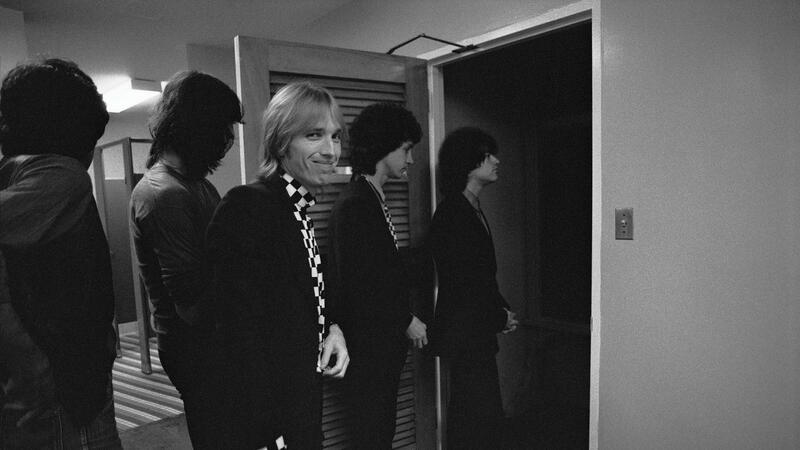 T. PETTY: (Singing) I remember you so clearly, the first one through the door. INSKEEP: Bandmates and family members spent months hitting play on stacks of old recordings. They chose 60 tunes to release. His widow, Dana Petty, listened in their home studio in California. DANA PETTY: It was a very healing experience. INSKEEP: What do you mean by healing? D. PETTY: Well, you know, at first, it was really hard to even listen to him on the radio, especially when he spoke. In these recordings, there's a lot of joking around with the band and him talking, and that was hard. T. PETTY: This is a new song called "Listen To Her Heart." D. PETTY: As we listened, it got easier. And it was a lot of laughter and a lot of tears. It was very healing, I think, for all of us. T. PETTY: (Singing) You think you're going to take her away with your money and your cocaine. INSKEEP: The recordings preserve the voice of a man who lived in front of a microphone. Dana Petty spoke of the recordings with Benmont Tench, Tom Petty's keyboardist, who heard his younger self on some of them. BENMONT TENCH: Old tapes from my parents' living room of our first band recording a demo. INSKEEP: Was that like one of those old audio cassette recorders? TENCH: No, we actually - to make a demo to try to get a record deal in 1973, we had a local guy who had a van with a reel-to-reel tape machine come to the house. And he put some mics up. And we played live in my parents' living room, seven or eight songs. And my parents, God bless them, they let us practice at the house. All we had to do was stop playing when the "CBS Evening News" came on so my dad could listen to the news. TENCH: And we were loud, and my parents were totally fine with it. T. PETTY: (Singing) Some friends of mine and me stayed up all through the night, rocking pretty steady till the sky went light. I didn't go to bed, didn't go to work. I picked up the telephone, told the boss he was a jerk. INSKEEP: This is a song from 1976. The artist was on the radio from the 1970s until roughly now, with lyrics that had a distinctive edge. She might need a lot of loving, but she don't need you. You got lucky, babe, when I found you. 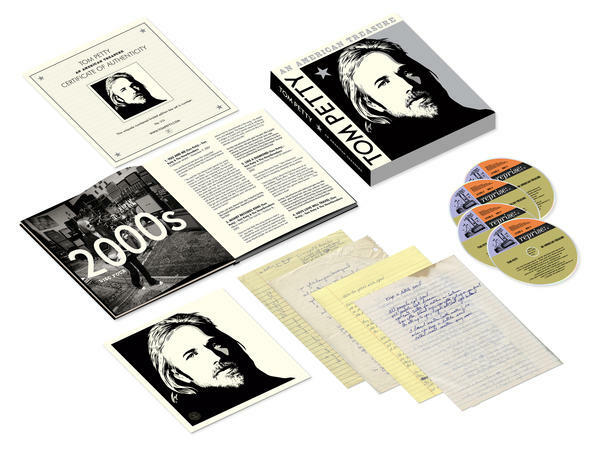 Benmont Tench recalls Petty sometimes waited like a fisherman for the words to come. And other times, they just flowed out. T. PETTY: (Singing) She's a good girl, loves her mama, loves Jesus and America too. TENCH: ...In the course of the time it takes to sing the song. T. PETTY: (Singing) And I'm free, free fallin'. INSKEEP: He was not in very good shape the last few years, was he? D. PETTY: He had knee problems and then his hip, and he just found out he had emphysema. But, you know, he was, emotionally, in a really good place. INSKEEP: The news accounts of his death linked it to pain medication, which I think I understand hearing you saying that he had a variety of issues that people have as they get older. This is, in a way, a tragically common story in the country. D. PETTY: Yeah. He wasn't doing pain meds when he was performing. But when he got home, it was obviously getting worse. TENCH: We knew that he had a fracture in his hip, but he wanted to play. TENCH: And if the dressing room was far on the last tour, he would take a golf cart from the dressing room to the steps up to the stage. But the second he hit the stage, he was on and he was gone. He was - you'd never have known anything. D. PETTY: It was the only time he was out of pain, I think, is when he was onstage. INSKEEP: It was at the start of October in 2017 when he asked Dana Petty if they could listen to one of his songs together. D. PETTY: "You And Me," he wanted to hear that on October 1. It was the last song he heard. D. PETTY: It's hard to hear that song. I mean, he wrote that song during our engagement. It was very special to both of us. INSKEEP: I'm thinking about that moment with that song, "You And Me." He just happened to be thinking of you. D. PETTY: ...His junior high girlfriend who is partially responsible for getting him into music. D. PETTY: Different Cindy Crawford. D. PETTY: She lived in Gainesville. INSKEEP: Just checking. Go on. D. PETTY: She lived in Gainesville, really beautiful girl that was putting on a dance for his junior high. And she asked him if he knew a band. And he said, oh, yeah, I have a band - which he didn't, so he went out - he got a band together and played the dance. INSKEEP: On Facebook, they looked up the woman who had started his career. And the next day, Tom Petty was dead. What remained was recording after recording of a man who never stopped thinking about his music. T. PETTY: One, two, three, four. INSKEEP: And Tom Petty's newly published recordings offer, as pop songs often do, advice for life. D. PETTY: To live what you believe. TENCH: Don't be afraid to live what you believe. D. PETTY: And that's the one I listen to the most, and it's not too dark. There's hope there. T. PETTY: (Singing) Warm people got soul, honey. Hard people got dreams. INSKEEP: Benmont Tench and Dana Petty, thanks to you both. D. PETTY: Thank you so much. TENCH: Thank you, Steve. Transcript provided by NPR, Copyright NPR.